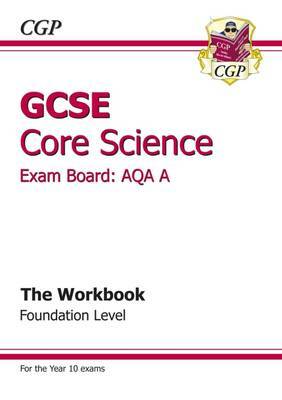 This book is packed with practice questions for Foundation level GCSE Science students. It covers every year 10 topic for the AQA A exams with a range of exercises that test what you know and how well you can apply your knowledge. The answers come in a separate book (9781841467054). Matching study notes and explanations are also available in the CGP Revision Guide (9781847626639).